With the spring planting season underway, we wanted to talk about tillandsia and some of the other vegetation that commonly grows on St. Simons real estate. 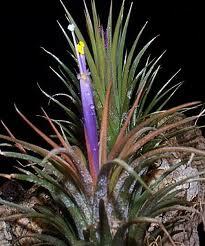 Tillandsia is actually an interesting plant genus that is part of the Bromeliaceae family. It is often found hanging off of Live Oaks and other trees throughout the island. What makes the flowering plant so interesting is that it does not need soil to grow. All it really needs to sustain life is oxygen, moisture, sunlight and something to cling onto for support. Thatâ€™s why itâ€™s typically seen hanging off of trees and power lines that run throughout St. Simons Island. One of the most familiar members of the tillandsia genus is Spanish Moss. It has been a part of St. Simons real estate for centuries. As a matter of fact, many of the islandâ€™s early inhabitants used it to make everything from bedding and fire arrows to teas and pottery. There were also those island residents who used the plants to play games and make childrenâ€™s toys. The other interesting thing about members of the tillandsia genus is that as a whole, they have a symbiotic relationship with their environment. They typically do not harm the structures that they use for support. In addition, because the plants tend to cluster together and hold water, many small animals use the tillandsia as a water source. Others utilize it as camouflage or bedding and eat the insects that visit the vegetation in search of hydration. Today, St. Simons real estate owners and others continue to grow tillandsia. It is often incorporated into outdoor gazebos, trellis gardens and indoor plant displays. There are also St. Simons residents who like to add tillandsia to arts and craft projects. To learn more about the flora that grows on St. Simons real estate, please contact us. Our DeLoach Sothebyâ€™s International Realty agents know of several homes that are perfect for gardeners. As such, we would be delighted to help you find the gardening spot of your dreams.